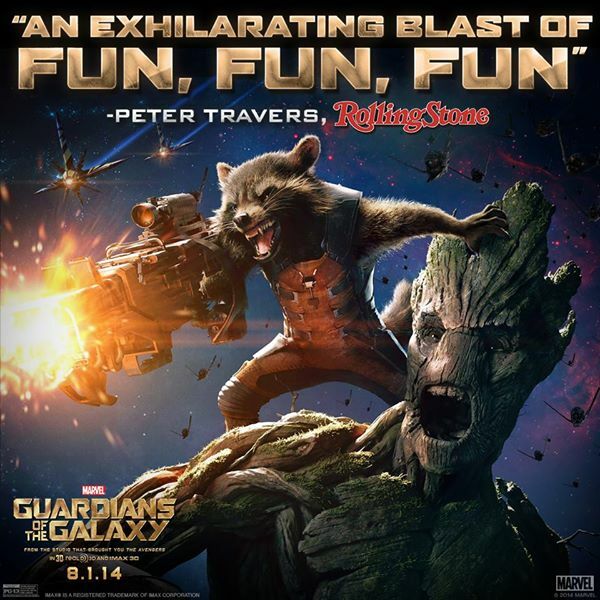 Guardians of the Galaxy Showings Start TONIGHT! One of the advantages of owning your own website is you can talk about whatever you want. So, in taking a break from G.I. Joe for a moment, I’m here to talk about the Guardians of the Galaxy. Early screenings for the film start tonight and this particular admin cannot wait! Seriously, 7:00pm CST is so incredibly far away right now! For those of you who have been living in a cave and haven’t heard of the Guardians of the Galaxy, it’s the latest installment in the insanely awesome Marvel Cinematic Universe. However, instead of focusing on Earth where the action has been dominated by the Avengers, director James Gunn is taking the audience out into space and is following the actions of Star Lord, a human from earth who has no idea what his place in the universe is. However, with the help of a talking gun-toting raccoon, a brawling tree with a heart of gold, a maniac bent on revenge, and the deadliest assassin in the galaxy, he’s about to confront his destiny head-on, all while jamming out to some 1970’s AM rock-n-roll. C’mon, what’s NOT to love? It’s like Farscape with the budget of Star Wars!